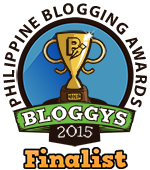 6th Customer Lovefest welcomes internet rockstar Carlo Ople! 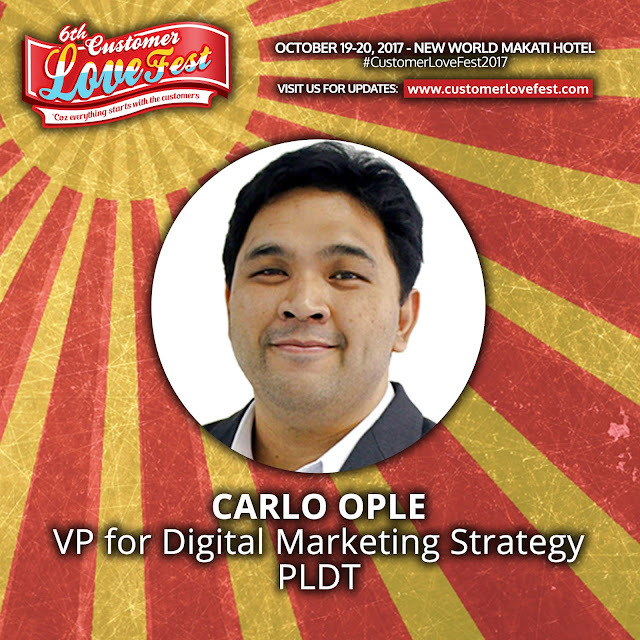 The 6th Customer Lovefest Conference - the pioneer conference on Customer Loyalty and Customer Experience welcomes internet rockstar Carlo Ople! Carlo currently serves as Vice-President for Digital Marketing Strategy of the leading telco in the Philippines, PLDT. He started his career at LEVEL UP! as Community Manager and left the company as Marketing Head for the Casual Games Division after 5 years. His journey in digital marketing went deeper as the pioneer social networking site Friendster hired him as Digital Marketing Manager in 2009. He went on to join TV5 to put up their digital division as he assumed the role of the company’s first New Media Head. He left TV5 to be a partner and Managing Director for the newly created digital agency of the most awarded agency in the Philippines, DM9 JaymeSyfu. After 4 years he sold his shares and exited after it was bought by the largest single branded agency in the world, Dentsu. As a digital entrepreneur, he founded several web properties with the latest one being recognized as one of the top tech and gadget sites in the country, Unbox.ph. He is also very active in the local digital industry. It is his 3rd year as a Director for the Internet and Mobile Marketing Association of the Philippines (IMMAP) where he currently serves as Vice-President for External affairs. He is also currently the Treasurer for the Ad Standards Council (ASC) of the Philippines. On the Customer Experience track of the conference (Day 2, October 20), Carlo will share to us the Digital Customer Experience Revolution. What does this entail companies? 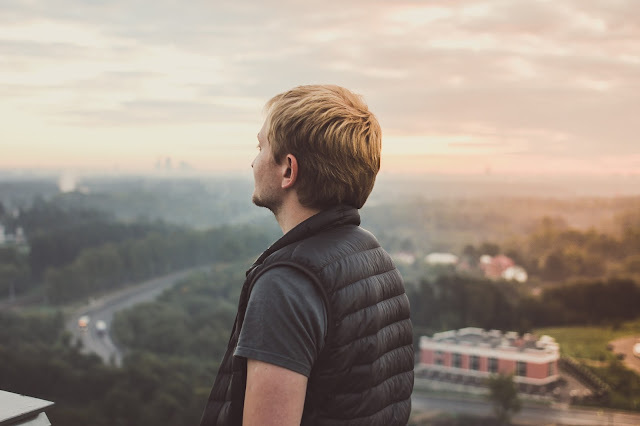 What do we need to withstand this revolution? 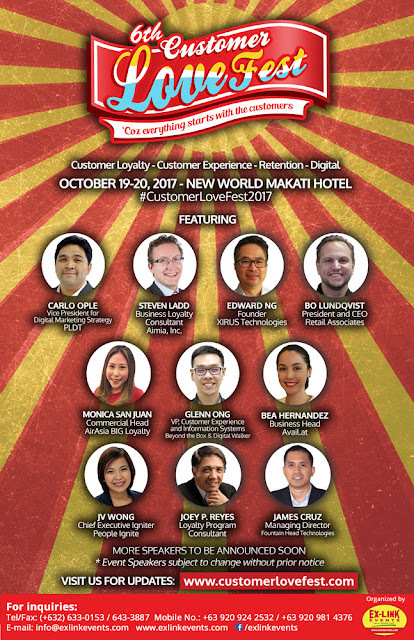 See Carlo and other distinguished speakers from various industries; and know more about Customer Experience, Customer Loyalty and Customer Relationship at the Customer Love Fest 2017 this October 19-20, 2017 at the New World Makati Hotel.